22 December marks the 120th anniversary of the birth of Revd Dr James William Parkes. 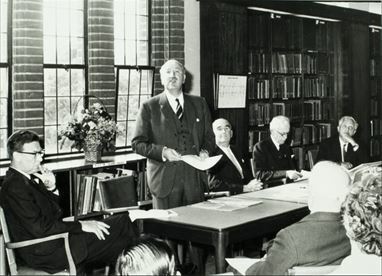 The transfer of his Library and archive to the University of Southampton in 1964 marked the start of a half century of significant growth, both in the Parkes Library and in Jewish archive collections, transforming Southampton into a major Jewish documentation centre. Amongst the predominantly paper based archive collection were a series of audio material in analogue or obsolete formats. This material, which includes recordings of sermons and talks during the 1960s and 1970s, has been transferred to digital to make it available for research. The sermons include “The End of the Way” delivered by Parkes at the Church of St Edward King and Martyr, Cambridge, at the close of the conference of the International Council of Christians and Jews (ICCJ) on Jewish-Christian co-operation in 1966 [MS 60/4/6]; and “The Road to Jerusalem” consisting of five sermons for Lent given at Salisbury Cathedral in 1967 [MS 60/4/8/5], sequentially titled “Jesus Clears His Mind – The Temptations”, “The Road Through Tradition”, “The Road Through Teaching”, “The Road Through Healing” and “The Road Through Suffering”. Recordings of talks by Parkes include “Israel, the diaspora and the world outside” recorded for the BBC, 1 September 1966 [MS 60/4/6]; “Jewish Students between the Wars” delivered to the Oxford University Jewish Society on 14 May 1967 [MS 60/4/8/8]; and “Tradition and Adventure” given at the Westminster Synagogue on 13 June 1967 [MS 60/4/8/8]. The collection also contains two recordings focusing on the life of James Parkes. These include “Journeying” recorded by Parkes’ wife, Dorothy, on 29 April 1977 [MS 60/37/1]; and “Word of Greeting” recorded by Dr Morton C Fierman, California State University, for a colloquium held by the International Council of Christians and Jews in honour of Rev Dr James Parkes and Professor Jules Isaac at Connaught Hall, Southampton, on 20 July 1977 [MS 60/37/1]. The earliest recording is of the opening of the Parkes Library at the University of Southampton on 23 June 1965 [MS 60/4/6]. The event included speeches by Edmund Leopold de Rothschild, and Lord Perth, Vice President of the Council of Christians and Jews. In his introductory speech, the University’s Deputy Vice Chancellor announced the establishment of the Parkes Library Fellowship, a post intended to raise the profile of the collection and to help secure funding for the international research centre envisaged by James Parkes. The following thirty years saw a series of distinguished Parkes Library Fellows working on the collection, but it was not until 1996 — the year of his centenary — that Parkes Centre for the Study of Jewish/non-Jewish Relations was launched. Five years later the Parkes Institute was created to coordinate and expand the activities of what had become the AHRB Parkes Centre, and the associated library and archive collections. All of the recordings are now available to access in the Archives and Manuscripts reading room. The archive holdings date back to the 1860s, soon after the foundation of the Hartley Institution, the earliest predecessor of the University of Southampton. The Institution was founded as a local learned institution and had among its facilities both a library and museum. Between them, they gathered in or were presented with a number of manuscript collections. The early collections were eclectic in nature, ranging from the papers of local seamen and materials clearly brought back from their travels; to records that may have their origins in the archives of the corporation of Southampton, with which the Hartley Institution was closely associated; and groups of letters, some coherent archive groups, put together by autograph collectors. As early as 1873, the minute book of the library committee records the presentation of ‘Specimens of old English writing in the form of deeds, upon condition that they be bound’ (now MS 28). The Institution’s collections included items of more general interest, ranging from Renaissance drawings to manuscripts from among purchases and bequests of books. 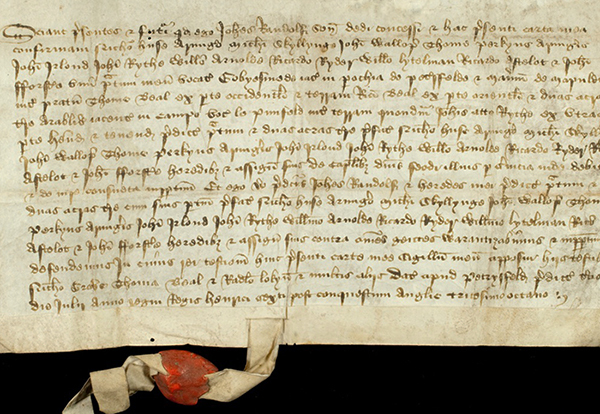 The Library and Museum received materials relating to the locality, to Hampshire and the Isle of Wight, the most important of which, the Cope bequest, contained manuscript (now MS 5) as well as printed items. With the establishment of local record offices, in Hampshire, for the county and city of Winchester, in and after 1947, for the corporation of Southampton in 1951 and for the corporation of Portsmouth, papers of local interest were directed there and local topographical manuscripts ceased to be an active focus for the University’s collecting policy. In 1972, the University dispersed to local record offices all the local material that it did not own; the material was transferred principally to the Hampshire Record Office, where it now has the reference 46M72 and 7M87-110m87. At the same time the remnants of the holdings of the museum of the Hartley Institution were transferred to Southampton City Museums, with the exception of some of the rock collections, which remain in the Geology Department. The maintenance of the Cope collection as a collection of materials of local interest continues, although its accessions are now almost exclusively printed. A new chapter of the University’s archive collecting commenced in 1983, when the papers of the first Duke of Wellington were allocated to the University under the national heritage legislation. There are close links between the University and the Dukes of Wellington: the seventh Duke became in 1952 the first Chancellor of the new University of Southampton, the fruition of a campaign supported by his family for a university of Wessex. 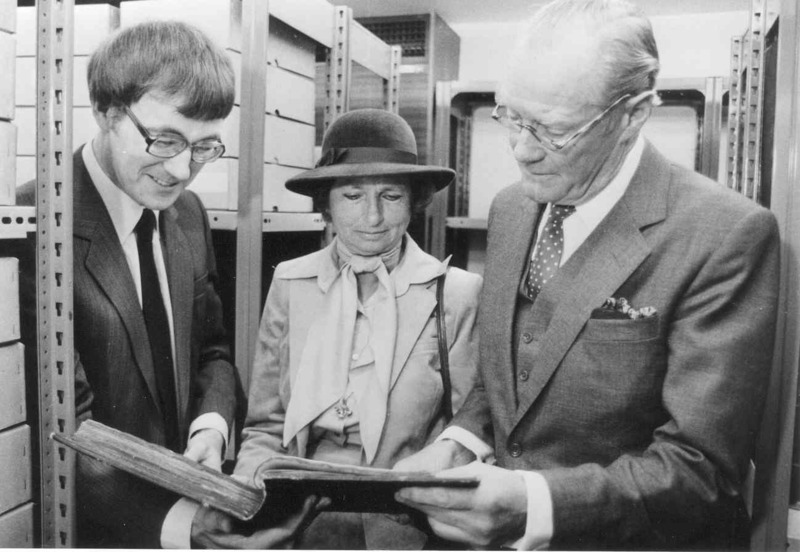 Further significant acquisitions of manuscripts ensued, the Broadlands archive in 1985-7 (including the Palmerston and Mountbatten papers), followed by accessions of supporting collections. The conversion of a part of the University Library in 1982-3 to provide appropriate accommodation for the Wellington Papers was followed in 1987 by the provision of new archive strongrooms and an enlarged reading room. The official opening of the Wellington Suite, 14 May 1983. Dr Chris Woolgar shows a bound volume of the papers to the Duke and Duchess of Wellington. The University has had through the collections of C.G.Montefiore, a former President of the University College, and through the library of Dr James Parkes, a special interest in papers concerning the relations of the Jewish people with other peoples; since 1989 this has been developed with a particular focus on the records of Anglo-Jewry, of national organisations and of individuals, and in 1990 many of the collections of the Anglo-Jewish Archives were transferred to the Library. The principal genealogical holdings of the Anglo-Jewish Archives, the Montefiore-Hyamson, D’Arcy Hart and Colyer-Fergusson collections were transferred at this date to the Society of Genealogists in London. In the range of these materials, the University and researchers have good reason to thank those individuals who, since 1963, had worked through Anglo-Jewish Archives towards the preservation of the records of the Anglo-Jewish community. A considerable number of major accessions relating to Anglo-Jewry has been received since 1990 and this continues to be an area where collecting is most active. As part of a major building project in the Hartley Library in 2002-4, the Special Collections accommodation was greatly enlarged. This included an additional strongroom and a new reading room, which doubled reader spaces. The extension also provided an opportunity to incorporate public exhibition space as an integral part of the library environment. This space includes the Special Collections Exhibition Gallery and the Level 4 Gallery. The Special Collections Gallery was funded by the Heritage Lottery Fund primarily for the display of material from the collections to encourage public awareness and access. The exhibition programme focuses on themes within the collection and links in with University academic activity including celebrations of research, conferences and contributions to national and international events and commemorations. The range of collections continues to expand and develop with recent acquisitions including papers relating to Basque child refugees (MS 370 and MS 404), the papers of Ian Herman Karten (MS 409), and new collection of Wellington related material (MS 351/6). Meanwhile our first group of digitised collections are available to access online through the Virtual Reading Room, with other recent developments including the establishment of our social media channels, including our WordPress blog and Facebook page. Newly appointed Professor Sir Christopher Snowden is the tenth Vice Chancellor of the University of Southampton. Just as the University is the successor to the Hartley Institution, Hartley College and University College, Professor Snowden and the other VCs are also successors to the ten Principals who led and governed the earlier institutions. Recently a portrait of our former VC Professor Don Nutbeam was completed and is due to be unveiled in the Senate Room in Building 37, where it will join those of his predecessors, the earliest being that of Sir Robert Wood. 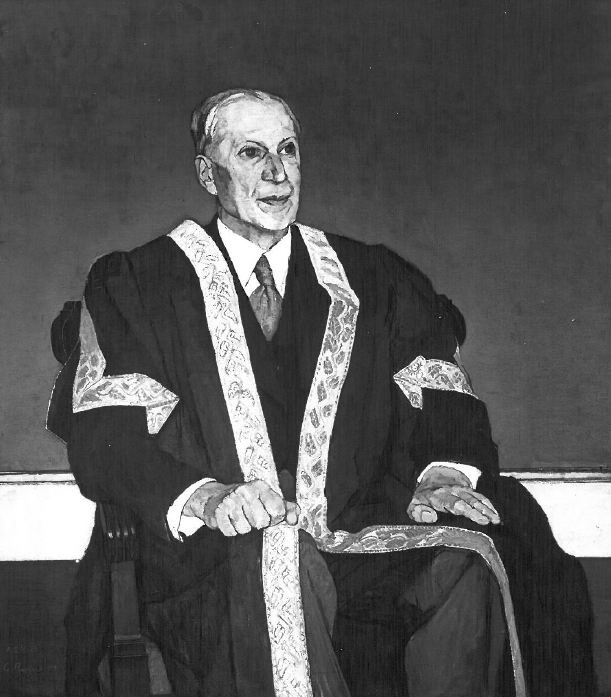 Wood became Principal of the University College, Southampton, in 1946. He led the University College to full university status in 1952, becoming its first Vice Chancellor when Southampton was granted its Royal Charter by Queen Elizabeth II in 1952. 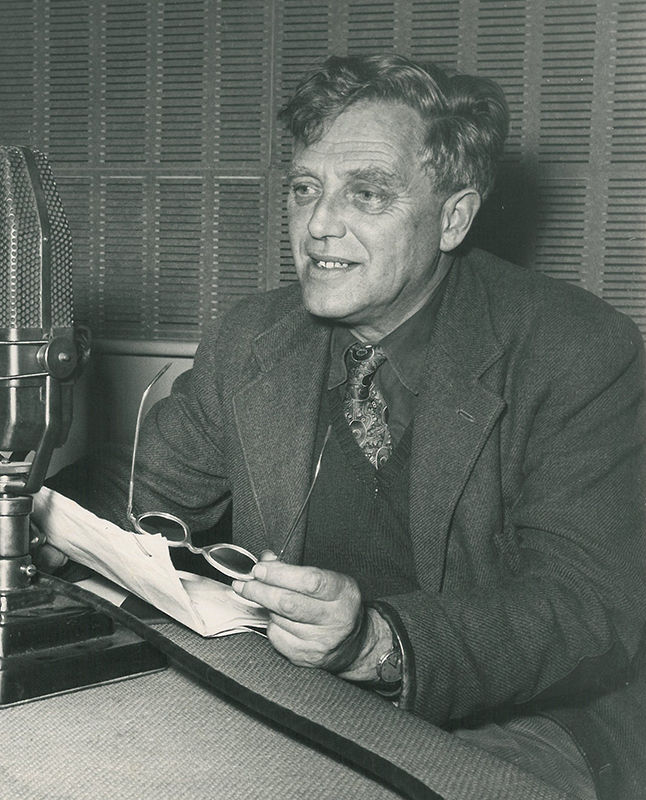 Dr David Gwilym James, a Professor of English at the University of Bristol, succeeded as Vice Chancellor in October 1952, remaining in post until 1965. It was under his Vice Chancellorship that the transformation of the University began, with expansion of student numbers and an ambitious building programme transforming the Highfield and other university sites. The Parkes Library on Jewish/non-Jewish relations was accepted by the University in 1964 and this has become one of the core collections of Hartley Library Special Collections and a factor in the development of the extensive Anglo-Jewish Archives at Southampton. The development of the University continued with the appointment of Kenneth Mather, who was VC from 1965 to 1971. His background was a geneticist and botanist and he established a new medical school for the University. Amongst the holdings of the Special Collections are those of Dr Donald Acheson, who was the first professor of medicine at the University (MS 353). Lawrence Cecil Bartlett (Jim) Gower was VC for the 1970s. One key achievement of his term was with regard to student accommodation which was increased by 32 per cent. Gower also served on Harold Wilson’s Royal Commission on the Press for which the Special Collections hold papers (MS 105). The University has had a long association with the Dukes of Wellington. From 1902 to 1907, the fourth Duke was President of the University College; his grandson, the seventh Duke, followed in his footsteps from 1949 to 1952 and was subsequently appointed the first Chancellor of the new University, the fruition of a campaign supported by his family for a University of Wessex. The University has continued to maintain strong links with this illustrious Hampshire family. 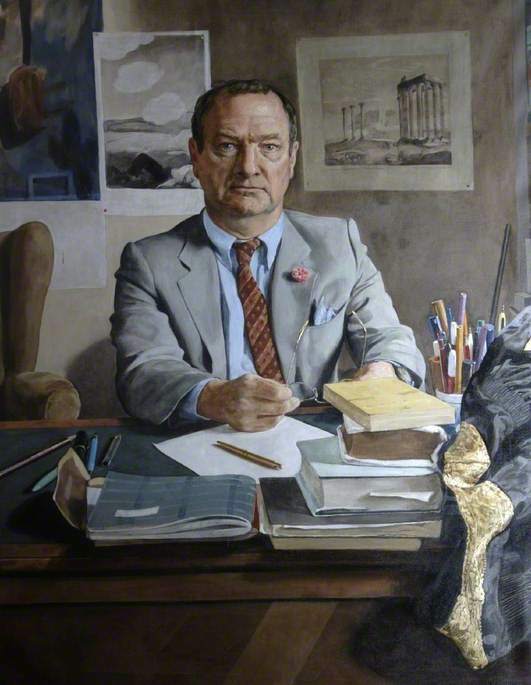 It is therefore fitting that under the tenure of the eminent historian, Professor John Roberts, the University’s fifth VC (1979-85), Southampton became the home of the archive of the first Duke of Wellington (MS 61) when the collection was allocated to the University under the national heritage legislation. Sir Gordon Higginson, who had been a Professor in Civil Engineering at the University of Durham, succeeded John Roberts as VC in 1985. He remained in post for nearly a decade. Sir Gordon played a key role in advancing the University’s development within Southampton and it was during his time that the University acquired the site that is now Avenue Campus. He also oversaw the development of a series of key research centres, including the Southampton Oceanography Centre. The Broadlands Archives (MS 62), which include third Viscount Palmerston and Earl Mountbatten of Burma, arrived at the University during this period. Sir Howard Newby, VC 1994-2001, was at the helm when an expanded University moved into the new millennium with a number of institutions, including Winchester School of Art, becoming part of the University and a masterplan for development of the Highfield campus was established, with new buildings designed to enhance the entrance to the campus along Burgess Road and University Road. Professor Sir William Wakeham, VC 2001-9, was a chemical engineer by training. As VC, he played a leading role in regional affairs, chairing SEEDA’s South East Science, Engineering and Technology Advisory Committee (SESETAC), and was an active member of the board of the Southampton Strategic Partnership. It was during these years that the University emphasised its role as one of the UK’s leading research universities and among the top 100 in the world. In autumn 2004 the Hartley Library completed a two-year building project that included a new Special Collections Gallery, providing for the first time facilities to exhibit the Special Collections. The arrival of Professor Snowden, formerly Vice Chancellor of the University of Surrey, on 1 October 2015 marks the start of a new phase as the University’s global reputation for research, education and enterprise continues to rise and it welcomes the largest intake of students in its history. Drawing on material in the Special Collections, the exhibition will consider the legacy created by Revd Dr James Parkes, through his library and his research on Jewish/non-Jewish relations. James Parkes began collecting material in the 1930s and by the time it arrived at Southampton in 1964, the Library consisted of 4,000 books, 2,000 pamphlets and 140 journals. It has developed into one of the largest Jewish documentation centres in Europe and complements the Anglo-Jewish Archives, also part of Special Collections, which is one of the largest collections of Jewish archives in Western Europe. These research collections have led to the development of the Parkes Institute, which is a research centre focusing on Jewish history and culture, and which continues Parkes’s legacy of teaching and research. The exhibition will run in conjunction with the Parkes Institute Jubilee Conference, the climax of the Golden Jubilee Celebrations 2014-2015. It will open on Monday 7 September and run until 6 November 2015. During exhibitions the Special Collections Gallery is open to the public Monday to Friday 1000 to 1600. Admission is free. Visitors may be asked for proof of identity by Library Reception staff. The Montefiore Lecture 2015 will take place this evening at the Avenue Campus. Titled ‘Magna Carta, British Values and Religious Minorities’ the lecture will be given by Professor Maleiha Malik, King’s College London. The Montefiore Lecture is part of the Parkes Institute annual lecture series and is the oldest lecture in the University’s calendar. Claude Joseph Goldsmid Montefiore (1858-1938) was a Jewish theologian, Reform leader and philanthropist. He was the son of Nathaniel Montefiore and Emma Goldsmid, and the great nephew of Sir Moses Montefiore. Noted as a great scholar, Montefiore was educated privately and at Balliol College, Oxford, where he obtained a first class degree. He was Hibbert Lecturer in 1892 and was awarded the British Academy Medal for Biblical Studies in 1930. In 1890 Montefiore founded and edited, together with Israel Abrahams, the Jewish Quarterly Review. From 1892 to 1921 he was President of the Anglo-Jewish Association. He was President of the Liberal Jewish Synagogue and Acting President of University College, Southampton, 1910-13 and then President, 1913-34. The Special Collections Division holds a small collection of Montefiore’s papers. The collection contains a volume of manuscript notes, chiefly on Aristotle’s politics; an address to Montefiore, written on vellum and signed by members of the senate of University College, Southampton, 1913; a letter from D.D.Balfour, 1885; and a typescript of ‘Some old fashioned opinions and reflections about the Jews: a die-hard’s confession’, 1935. In addition to the manuscript collection, Montefiore donated his private book collection the University which now forms part of the Library’s Printed Special Collections. It was through the collections of Montefiore and the library of Dr James Parkes that the University formed a special interest in papers concerning the relations of the Jewish people with other peoples. Since 1989 this has been developed with a particular focus on the records of Anglo-Jewry, of national organisations, and of individuals, leading to the acquisition of the Anglo-Jewish Archives in 1990. The Special Collections Division has continued to receive a considerable number of major accessions relating to Anglo-Jewry and this remains an area where collecting is most active. For further details on this year’s Montefiore Lecture please visit the Parkes Institute Events page. 27 January is Holocaust Memorial Day, the date chosen as it is the anniversary of the liberation of Auschwitz concentration camp. 2015 is the 70th anniversary of the liberation of Auschwitz. The Parkes Library, created by Revd Dr James Parkes, who spent much of his life combatting anti-Semitism, contains a sizeable section of printed material on the Holocaust including general histories of the Holocaust, together with books describing events in individual countries. Published diaries and testimonials of victims and survivors are well represented and there are also sections on the interpretation of Holocaust literature and on the historiography of the subject. Telegram (MS 175/142/1) sent to Hertz in November 1938 using the term ‘Holocaust’ in response to the events of Kristallnacht. 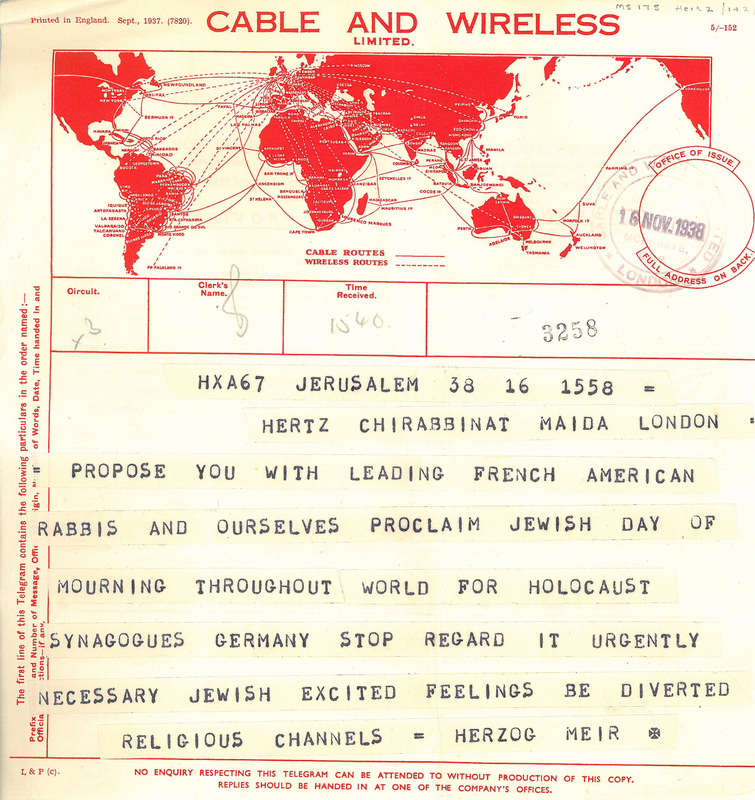 There is considerable material within the Anglo-Jewish Archive collections at Southampton, ranging from a telegram sent to the Chief Rabbi Hertz in November 1938 using the term ‘Holocaust’ in response to the events of Kristallnacht, to memoirs and testimonials and papers relating to war crimes and war criminals. The writings of Eugene (John) Heimler (MS220) on the Holocaust include some pages of his Holocaust memoir Night in the mist. The collection also includes material relating to the foundation of a Holocaust survivors’ centre. Amongst the papers of the Council of Christians and Jews (MS 65) is material of the Association of Nazi Camp Survivors and of the Holocaust Memorial Foundation Committee. Other smaller collections include an account of the war experiences of David Kutner, who was incarcerated in Lodz ghetto and subsequently Auschwitz, and papers of Rudi Kennedy who led a successful campaign for compensation for Jewish slave labourers. The main collection relating to war crimes is MS 200 which is the papers of the International Military Tribunal and Nuremberg Military Tribunals, 1945-9. Further material on war crimes and war criminals can be found in collection MS 237-41 the Institute of Jewish Affairs and MS 137 the Anglo-Jewish Association. The Archives and Manuscripts holds two collections of filmed interviews: the Fortunoff Video Collection of Holocaust survivors from Yale University Library, and the Association of Jewish Refugees Refugee Voices, which contains 150 filmed interviews with Jewish survivors and refugees from Nazism who have settled in Great Britain. An event to mark Holocaust Memorial Day 2015 has been jointly organised by Southampton Solent University and the University of Southampton. For further details please visit the Parkes Institute Events page. 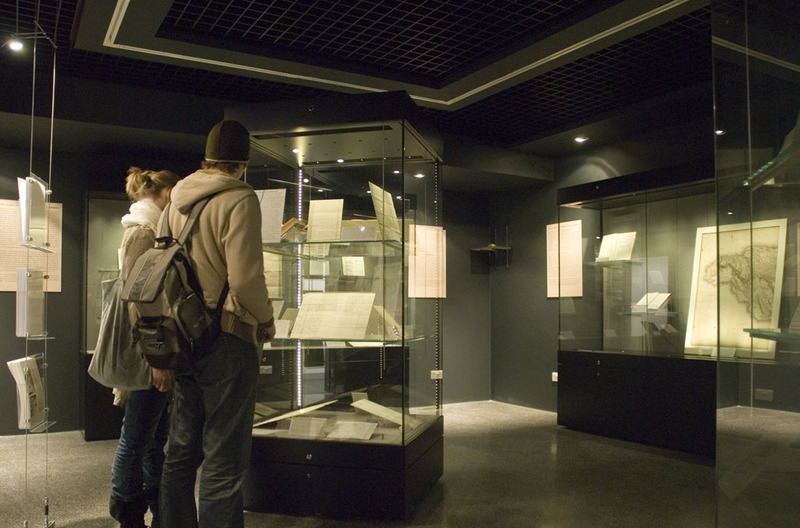 In the autumn of 2004 the University of Southampton welcomed visitors to the first exhibition to be held in the new Special Collections Gallery. The Gallery was created with support from the Heritage Lottery Fund and a major investment by the University in the remodelling and extension of the Hartley Library. Since then there have been three or four exhibitions on display each year based on manuscript and printed materials housed by the Special Collection Division. The first exhibition, titled The Special Collections, sampled some of the main collections, to convey their range, importance and flavour. It was divided into five sections, reflecting the growth of the holdings and some of the principal themes that are to be found in them. These included materials relating to Hampshire; Prime Ministers’ papers of the first Duke of Wellington and the third Viscount Palmerston; Anglo-Jewish materials; materials relating to Lord Mountbatten and the transfer of power in India; as well as early materials from the Parkes Library. Subsequent exhibitions have expanded on these themes. The exhibition Cecil Roth and Anglo-Jewish intellectuals in 2005 drew from the significant range of materials for Jewish individuals held by the Division. Focusing on the papers of five Anglo-Jewish intellectuals, the exhibition provided a snapshot of the overall holdings. The following year, to mark the 350th anniversary of the re-admission of the Jewish population into Britain, ‘In a style fitting to us Jewes’: Anglo-Jewish life from the Resettlement reflected more broadly on the Anglo-Jewish community and aspects of Jewish life in the UK. 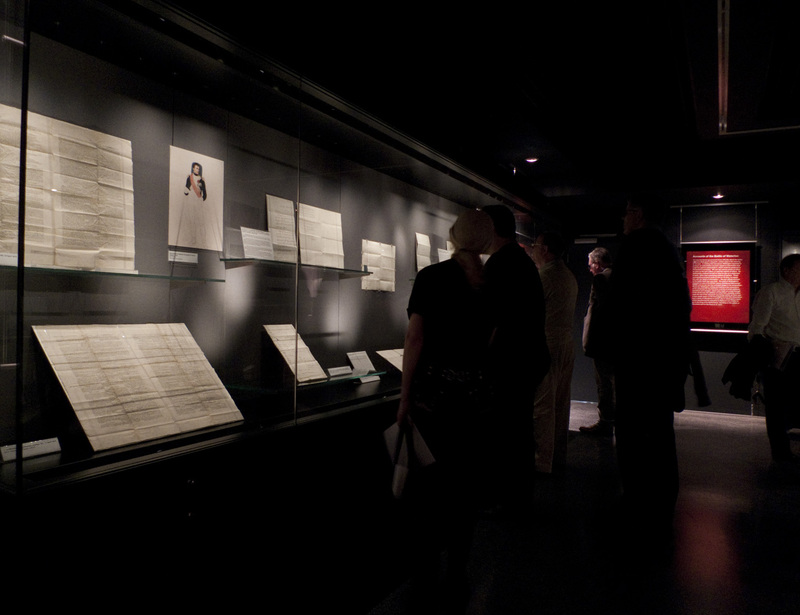 A number of exhibitions have drawn on the official, diplomatic, military and political papers of the Duke of Wellington. Wellington and his papers in 2008 celebrated twenty-five years since the archive was allocated to the University under national heritage legislation in 1983. Showcasing the scale of the collection, the exhibition reflected the entire span of Wellington’s career from his first military commission to his political career. Meanwhile, exhibitions held in conjunction with the Wellington Congress have included The War against Napoleon in 2006, examining the impact of the Napoleonic War across Europe; and ‘Victory searches for her son’: defending Spain and Portugal against Napoleon, 1810 in 2010, focusing on two of the key moments in the Peninsular War – the Lines of Torres Vedras and the Battle of Buçaco – as well as Britain’s relationship with Spain and Portugal. The Broadlands Archives in 2010 offered a look at the extensive range of materials in the Broadlands collection. Centred on the Temple (Palmerston), Ashley, Cassel and Mountbatten families, the documents in the collection cover major political, diplomatic, social and economic events of the 19th and 20th centuries. One such event was the focus of the exhibition The Independence of India and Pakistan, 1947 in 2007 which offered a fascinating perspective on the transfer of power from the British Raj to the newly-created states of India and Pakistan in 1947. Drawing largely on the Papers of Earl Mountbatten of Burma, the exhibition marked the sixtieth anniversary of this historic event. In 2012 the University of Southampton celebrated its diamond jubilee as the first university to be created in the reign of Queen Elizabeth II, receiving its royal charter on 29 April 1952. It also celebrated the foundation of the Hartley Institution, the University’s predecessor, which was opened on 15 October 1862. To mark the occasion the exhibition ‘To constitute and found a university …’: from Hartley Institution to the University of Southampton’s diamond jubilee set out to reflect development over 150 years, both in terms of the experience of students, from the nineteenth century onwards, and in the physical changes to the institution. The same year saw The Poetry of F.T.Prince (1912-2003) examining the life and work of one of the University’s first Professors of English and a significant poet of the twentieth century. Other exhibitions have focused on a wide range of topics, including ‘Irreconcileable with the principles of humanity and justice’: the trade in slaves and its abolition in 2007; ‘A Most Laborious Undertaking’: The Art of Maps and Map-Making in 2008; Unreliable memories: documenting personal and official experience in 2009; Britain and South Asia, 1760–1960 in 2011; Here, look after him’: los niños, refugee children from the Spanish Civil War in 2012; and ‘When a traveller is in a strange place …’: perspectives on romanticism and revolution, 1790–1840 in 2013. Exhibitions offering perspectives on artistic subjects have included In the Loop: Highlights of the Montse Stanley Knitting Collection in 2008; Print Matters: A visual journey through the artist’s book in 2011; and The early modern image: patronage, kings and peoples in 2014. As well as drawing on material held by the Special Collections Division, exhibitions have included materials from the Hampshire Records Office, the Southampton City Archives, the British Museum, the Victoria and Albert Museum, the Knitting Reference Library, and the University of Southampton School of Ocean and Earth Science. Upcoming exhibitions in 2015 will focus on the role of music at the University, the Battle of Waterloo, and the Parkes library on Jewish/non-Jewish relations. The current exhibition ‘When “the days of conquest are passed”: reflections on war and warfare’ will run until 12 December 2014. 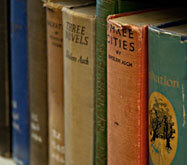 Consisting of over 4000 books, 2000 pamphlets and 140 journals, the private library of Revd. Dr James Parkes was transferred to Southampton University Library in 1964, making 2014 the 50th anniversary of the transfer. Revd Dr James Parkes devoted his life to combating anti-Semitism, which he first encountered in European universities while working for the International Student Service. He helped rescue Jewish refugees during the 1930s and campaigned for the Jews of Europe during the Holocaust. During the Second World War he helped found the Council of Christians and Jews and worked throughout his career in promoting religious tolerance and mutual respect. 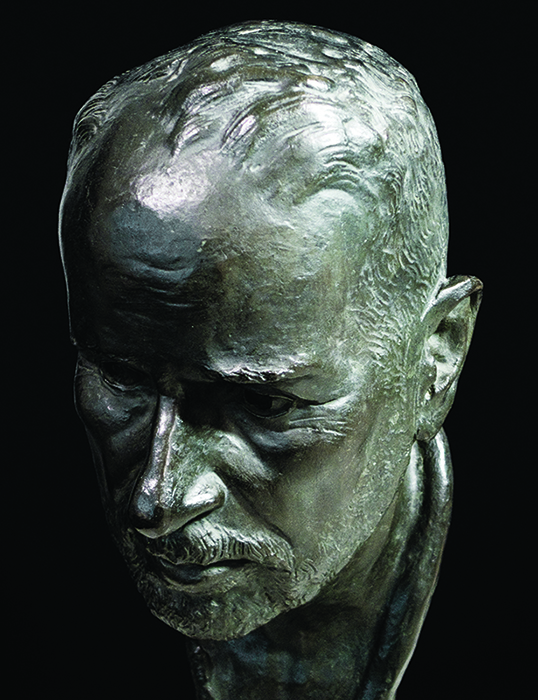 As part of his campaigning, he built up the Parkes Library and associated archive, and completed a thesis entitled The Conflict of the Church and the Synagogue: a study in the origins of anti-Semitism. This publication of this work established him as a specialist in the fields of Jewish-Christian relations and the history of anti-Semitism. The Parkes Library is now one of the largest Jewish documentation centres in Europe and the only one in the world devoted to Jewish/non-Jewish relations. It has led to the development of the Parkes Institute, which provides teaching at undergraduate and postgraduate level, as well as having a thriving doctoral programme and a range of outreach activities engaging the general public, local communities and colleges. Along with the Parkes Library, Revd James William Parkes also transferred his papers to the University of Southampton (MS 60). These contain correspondence and notes relating to his publications, as well as newspaper cuttings on significant events such as the Suez crisis of 1956, the Palestine question, anti-Semitism and fascism. Other sections of the archive include the personal financial papers relating to the administration of the Parkes Library. The University of Southampton holds one of the largest collections of Jewish archives in Western Europe. The holdings partly grew out of the association with the Parkes Library, originally the private library of Reverend Dr James Parkes. Parkes devoted his life to investigating and combating the problem of anti-Semitism and since the arrival of Parkes’ Library at the University in 1964 the study of Jewish/non-Jewish relations has developed significantly. Alice Caffull, a former University of Southampton Modern History and Politics undergraduate student, and now a Master’s Jewish History and Culture student, explains how she has used the Anglo-Jewish archives for her research. “I consulted the “Refugee Voices” Association of Jewish Refugees collection in both my undergraduate and postgraduate degree because of my interest in personal testimony and memoirs. I used this collection in various essays and found it an easy-to-navigate and fascinating source. I study MA Jewish History and Culture and therefore the wealth of Jewish history contained within the archives is extremely useful and exciting for me. I spent a whole module (an Individually Negotiated Topic module) on the diaries of Samuel Morris Rich, a Jewish teacher who kept a diary from 1905 until his death in 1950. 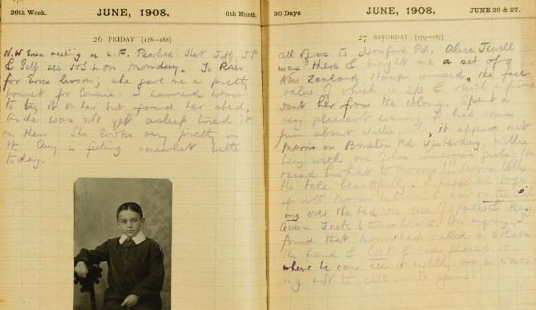 I really enjoyed getting into the content of these diaries and assessing the situation for Jews particularly before the First World War through his diaries. Find out about the collections, Special Collections news, events and exhibitions through the new blog. The Special Collections holds in the region of 6.5 million manuscript items in 2.500 collections and 50,000 books. Amongst the manuscript collections are extensive military and political material for the late eighteenth to the twentieth centuries and one of the largest holdings of Jewish archives in western Europe. The University is the home of the archive of the first Duke of Wellington. 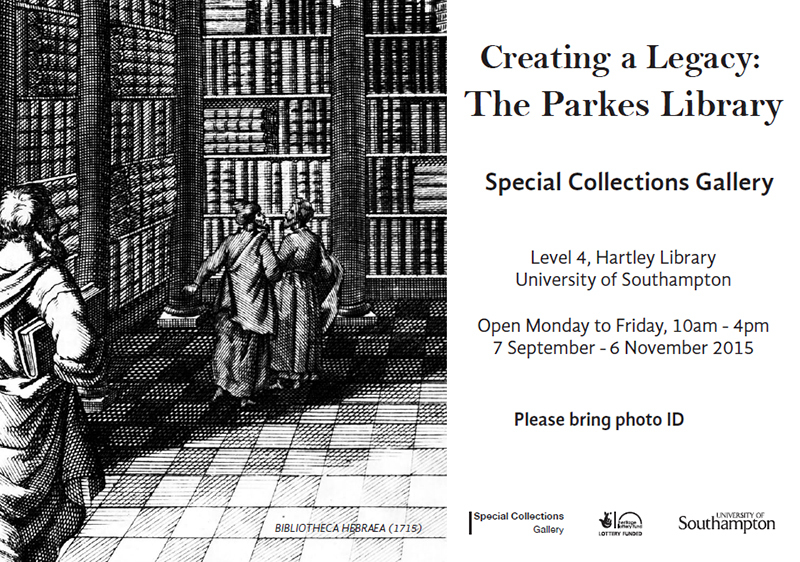 The printed collections include early and rare books from the general collections of the Hartley Library and a number of named collections the most notable of these being the Parkes Library, the Cope Collection on Hampshire and Isle of Wight and the Perkins Agricultural Library. Starting from March 2014, this blog will host weekly extracts of writings on war and warfare drawn from the manuscript collections. Ranging from items on the Maratha wars to the Second World War, the extracts will reflect opinions both from the battle front and from those at home. The Special Collections Gallery exhibition When “the days of conquest are passed”: reflections on war and warfare which will run from 13 October to 12 December 2014. As part of the events set to mark the battle of Waterloo in 2015, the University will be hosting the Sixth Wellington Congress 9-12 April, with a related exhibition opening in the Special Collections Gallery at the same time.